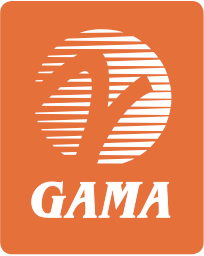 Washington, DC—The General Aviation Manufacturers Association (GAMA) announced today that Christine DeJong has joined the association as its Director of Global Innovation and Policy. Christine brings over 13 years of experience in standards and business development at ASTM International where she managed the aviation and aerospace portfolio, which included general aviation aircraft, aircraft systems and unmanned aircraft systems. Her responsibilities included monitoring industry trends, exploring and launching new standards activities and related programs, establishing partnerships, and providing guidance regarding how standards can solve common challenges to bringing new products to market and support workforce development. Her connectivity to innovation initiatives at ASTM included the launch of ASTM’s Additive Manufacturing Center of Excellence and the Autonomy in Aviation cross-sector committee. A native of New Jersey, Christine holds Bachelor of Arts degrees in Law and Justice and Spanish from Rowan University and a master’s certificate in Translation from La Salle University. Christine is training to attain her private pilot’s license.